Are you among those people who spend hefty amounts on purchasing items that you can showcase in your garden or home? If yes, then water fountains are one such beautiful alternative for you. They are capable of creating a distinctive sense of peace and tranquility for you along with beautifying your garden. In case you lack enough space, a beautiful wall fountain can do the needful for you. In fact, if you install a water fountain on the wall of your house, surely, everyone is going to notice it. Why install wall water fountain? 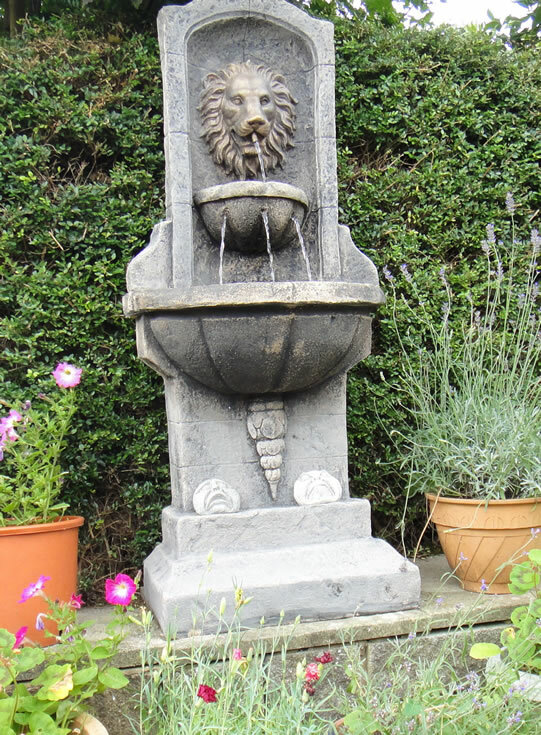 Increased property value: Installation of such wall fountain requires huge expertise as well as specialized skills. Moreover, by investing a simple amount of money over it, you can certainly increase the overall value of your house. Additionally, it also provides a classy and expensive look to it that every passer-by will appreciate. Add-on health benefits: These fountains also share significant health benefits for you. They offer a mesmerizing scenario for your mind to relieve stress and relax to a greater extent. It helps in naturally purifying the air thereby keeping the house healthy and happy. Soothing noise: The fountain also accompanies a captivating noise that you are really going to enjoy sitting at your home. You will not feel the need for keeping a sound insulation for this. In fact, its continuity and relaxing mode can turn out a treat for you. Superb humidifier: At times, you may come across a situation when the indoor of your home becomes dry in the absence of apt moisture. Under such circumstances, these water fountains can serve ideal for you. They maintain a perfect balance of air and moisture together within your home.